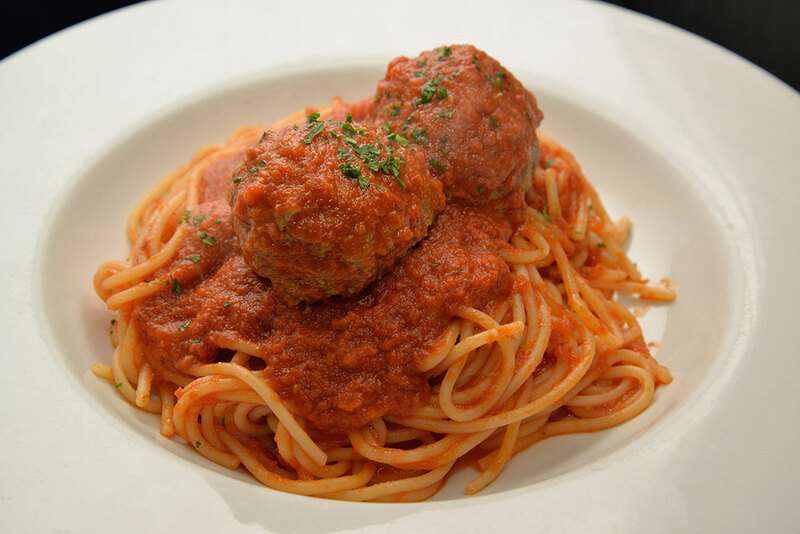 Serving Italian and American dinners since 1945. Mike and Tony’s has been serving cocktails and Italian American family style dinners to travelers and locals since 1945. We feature a full bar of cocktails, wine and beer. Our dinners are served family style in courses or a la carte. All of our recipes are homemade and prepared daily with fresh ingredients. Mike & Tony’s is the place to go for homemade minestrone, a variety of pastas, steaks, seafood, veal, chicken, vegetarian and more when visiting the Mount Shasta area. Whether you want a casual or elegant night on the town, stop in and enjoy the warm ambiance of our fresh, Italian American cuisine! Mike & Tony's is available for private parties & gatherings 7 days a week. Served with homemade creamy ranch. Served with creamy honey lime mustard sauce. Choice of Cheese, Pepperoni, or Daily Special. Served with pomodoro sauce sprinkled with fresh parmesan & parsley. Served with spicy chipotle aioli sauce. Try any of our Dinners Family Style! 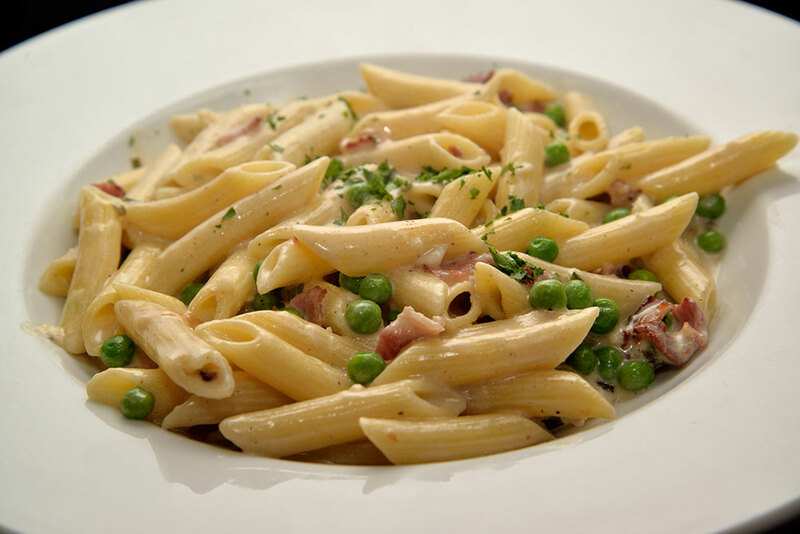 Spaghetti served with pancetta (Italian Bacon) and peas in a cream sauce. Choice of beef or cheese tortellini with your choice of sauce. Choice of beef or cheese raviolis with your choice of sauce. Homemade Italian potato dumpling with your choice of sauce. Crispy romaine heart lettuce, red onions, fresh cherry tomatoes & Italian dressing with strips of steak, and antipasto plate. 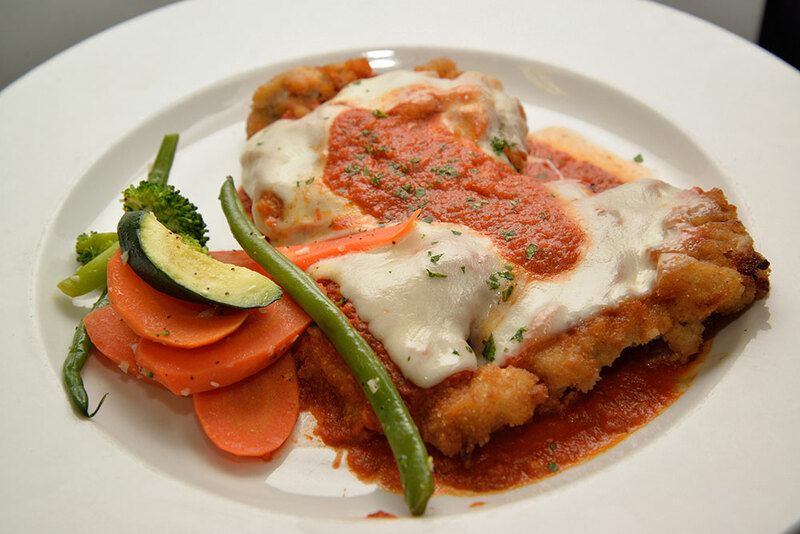 Lightly breaded & baked with pomodoro sauce topped with fresh mozzarella. Tenderized & breaded with a lemon, white wine, butter, & caper sauce. Tenderized & breaded with a creamy marsala wine, garlic, & mushroom sauce. Served on top of a toasted sweet roll served with fresh cut french fries. Choice steak broiled to perfection on top of a toasted sweet roll served with fresh cut french fries. Stuffed with spinach, zucchini, mushrooms, red onion, sun dried tomatoes, capers, and pine nuts. Thick-cut, tender and juicy, New York steak broiled to perfection. 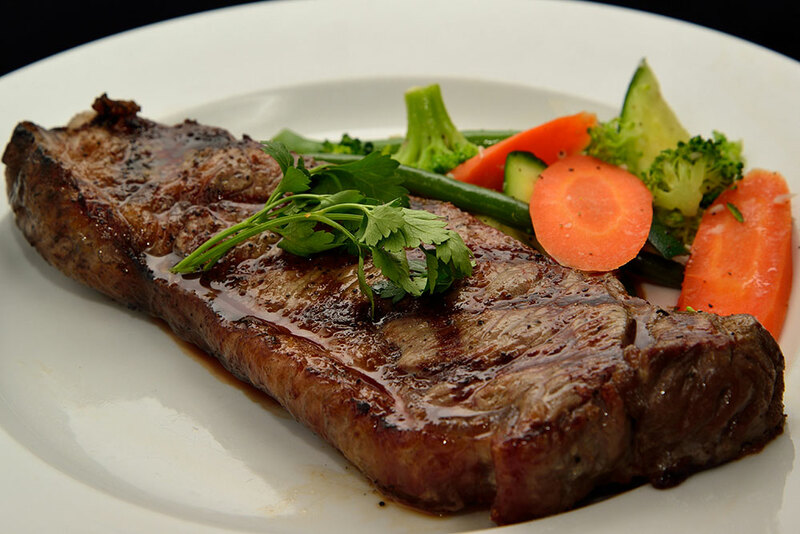 Thick-cut, tender and juicy, Rib Eye Steak broiled to perfection. 10 oz. Thick center-cut pork chop served blackened style or regular with apple sauce. 7 Large shrimp served in a lemon, butter, garlic & white wine sauce. Please ask about our Seafood of the Day. Consuming raw or undercooked meats, poultry, seafood, shell fish, eggs, or unpasteurized milk may increase the risk of foodborne illness.